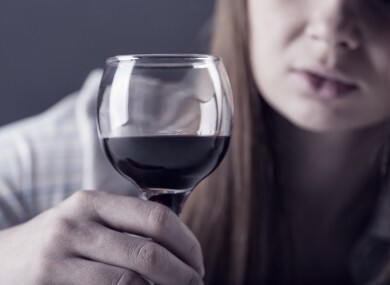 THE FIRST SIX months of 2014 saw a significant rise in the number of women and young people being admitted to alcohol addiction treatment services. That’s according to the addiction service Aiséirí in its annual report launched today. It says that if this continues – it could be facing a 70% increase in the number of admissions for young people this year compared to last and a 64% increase in admissions for adult women. Over the full year of 2013, 119 admissions were made to Aiséirí‘s specialist adolescent centre. However, by June this year, there had already been 101 admissions. One in three of these young people were aged between 15 and 17. In 2013, 30% of the adult admissions at Aiséirí were women but by June 2014, this was 43% in one centre. CEO of Aiséirí, Paul Conlon, urged the government not to reduce excise duty on alcohol. If the price of alcohol goes down, the risk of alcohol harm and addiction goes up, particularly for vulnerable groups like young people and women. “It would be irresponsible of the government to introduce anything that would make alcohol cheaper or more accessible. We are seeing the tragic consequences of Ireland’s drink love-in and it is far from being ‘great craic’ for many individuals and families. Email “More young people and women are being treated for alcohol addictions”. Feedback on “More young people and women are being treated for alcohol addictions”.